UCI earned its first LEED Platinum rating from the U.S. Green Building Council in November 2011 for the Humanities Gateway facility. It met 57 out of 69 possible criteria, including ultra-low energy use, high-efficiency elevators, and a California “cool roof” system to minimize heat reflected into the atmosphere. 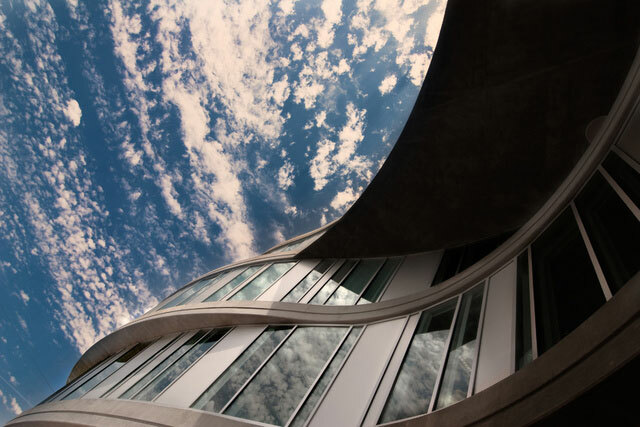 One month later, Sue & Bill Gross Hall: A CIRM Institute received the same certification for its state-of-the-art, green features and design.